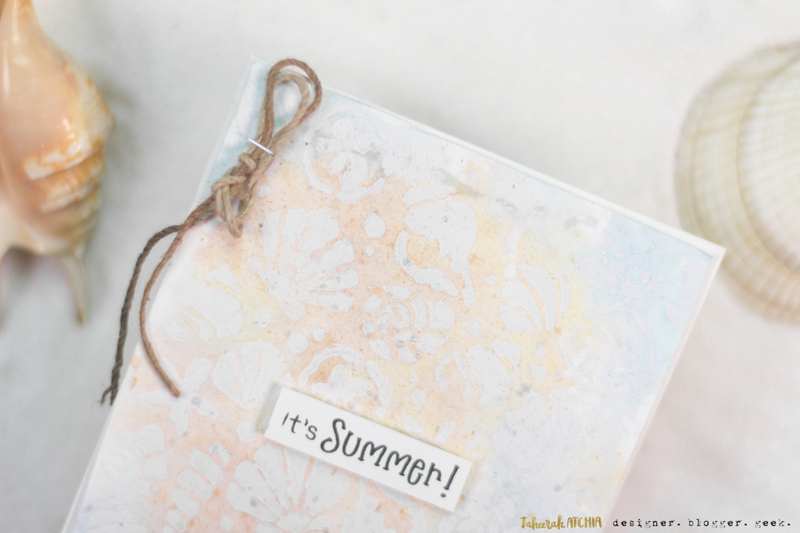 It's Summer Card by Taheerah! Today we have the awesomely talented Taheerah Atchia as our special guest! We are such huge fans of her work and love to share it on our blog! Today she's playing with some of the sets from our recent July release! For her card today, Taheerah used our new Seashells Stencil to create this soft and elegant beach card! She dry embossed the seashell pattern using the Seashells Stencil. 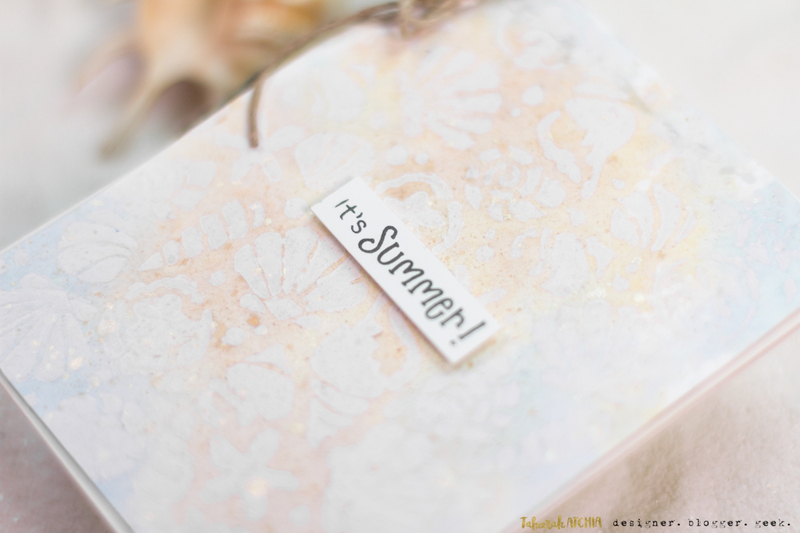 Then she watercolored over the embossed panel using soft peach and blue and added some salt to give a fun mottled effect! She also dabbed a bit of white paint over the top to help the shells pop out more. 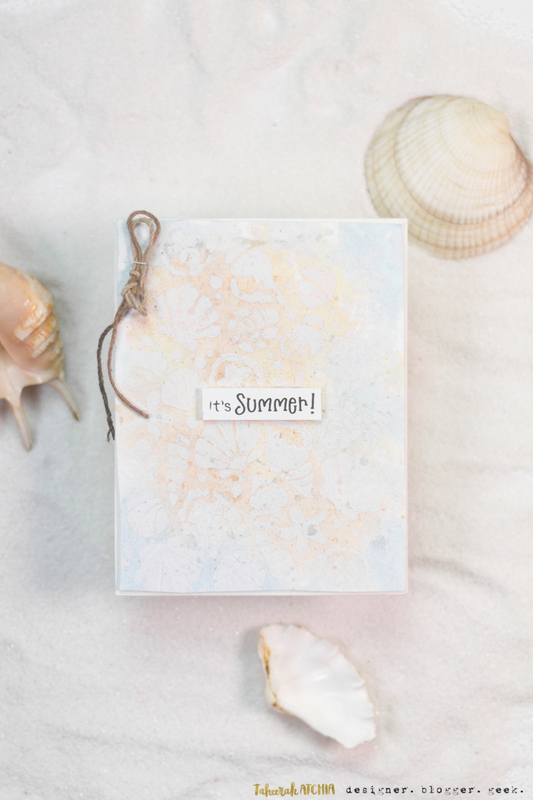 Once this lovely seashell panel was finished she mounted it onto her card base and added the sentiment, "It's Summer" from our Newton's Summer Treats Stamp Set, popping it up with some dimensional tape. She also added a lovely knot in the corner to add a bit more beachy flair! Thank you Taheerah for the lovely inspiration today! Now I feel like heading toward a beach! If you loved this card, you can always view more of Taheerah's work over at her awesome blog, Fill you Paper with the Breathings of your Heart.